The Eagle originated in the pulp magazines during the 1940s, and featured American G-2 spy, Jeff Shannon, known to the world of espionage as The Eagle. This volume contains six brand new adventures of the characters by new pulp writers. “Lights! Camera! Sabotage!” by Bobby Nash is a simple plot involving sabotage of secret military installations conducting classified experiments. The sabotage occurs during the filming of a movie studio nearby, and one of the members is suspected of being a spy. Naturally they call The Eagle back from Europe to handle the case (?). Well written and interesting, but weak. Anyone could have uncovered the spy, even a Hollywood detective. The author uses a lot of popular phrases that add nothing to the story in my opinion. Although, Nazis are mentioned, and it’s obvious the story takes place during WWII, one of the actresses is wearing a bikini. Bikinis were not introduced until 1946, so I may be wrong about the time period. I won’t even discuss The Eagle’s escape from a locked room filled with gasoline fumes (from barrels of petrol) by exploding small charges against the door! But a fun read, nevertheless. “A Black Friday In Australia” by Lee Houston, Jr. 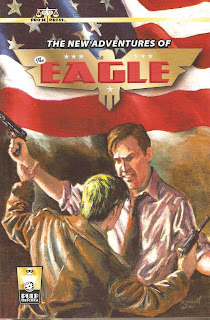 In 1939 The Eagle is sent to Australia by request of their government, but while en route, he discovers an Axis agent on board the ship and uncovers a dangerous plot. Germany has set up Safe Harbor in Australia, where their ships and submarines can dock for refuel and supplies. The Eagle is captured, but a huge brush fire is spreading over this part of Australia, and the Germans have to abandon the Site as the fire approaches. Jeff Shannon is left to die, but escapes and trails them on a motorcycle. The fire eventually catches everyone but The Eagle. Well written, but a one-dimensional plot, and with characters you don’t really care for. The author relies on an actual event – the brush fire of 1939 that destroyed so much area of Australia. Still, a fun read, even with the minor faults. “The Melting Skin” by Ashley Mangin. The basic plot has to do with Germany inventing a radio wave that melts the skin. But this is a ruse, as an American gangster intends to steal plans from England’s work on the atomic bomb. The Eagle rushes from an America beach to England to France, to Germany – in the matter of paragraphs, then returns to England with his report, but discovers that the enemy has been aware of his every move. He had really been set up, so now it’s back to France and Germany to catch a couple double agents, and back to France once more; then he returns to America to pick up two friends to help him catch the gangster, and then ends up back at the beach. The plot was terrible, and badly executed. There was really no “interesting” action to keep a reader involved. I had trouble getting through the story. “Fire From The Skies” by R. P. Steeves. A scientist has been kidnapped in Greece. He was working on a super weapon Germany wanted. Obtaining his papers, no one could interpret them, so they hoped to use his old love as a threat against him. Jeff Shannon, aided by his secretary (?) Joan, and a Greek named Rico go after the kidnapper who has the scientist, hoping to stop him before they can take him to Germany. There’s quite a bit of action, but The Eagle is never in any real danger. Regardless of the plot, this seems to be a minor entry, just moving from one action scene to the next. But the author definitely keeps the action moving. “The Coming Storm” by Teel James Glenn. In the U.S., the Brown Shirts have kidnapped a scientist and holding him in nearby Camp Nordland in Sussec County, New Jersey. The FBI has sent in agents, but they were lost, feared murdered by the Bund. They request from G-2 America’s greatest spy, The Eagle. Jeff Shannon had once been an amateur magician, and the Bund is seeking entertainers, which the FBI feels will be a way to get The Eagle in their camp. This was a gem of a story. It had a real plot, real characterization, and good dialogue. The story is set in September 1938, and the hurricane of September 21st, known as the Long Island Express, plays a part in the final scene. Jeff is assisted by an ex boxer named “Lefty” Kovaks (wonder why there’s never a “Righty? ), who felt he owes his life to the super spy. 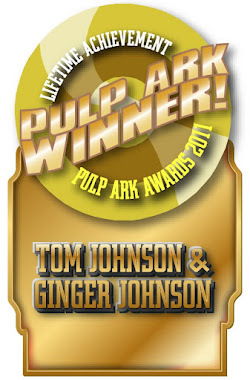 This is a great read by a writer who knows pulp fiction. “Island of Deceit” by Nick Ahlhelm. Germans have infiltrated a Marine base in the Philippines, with plan to destroy this strategic American military installation, allowing their Japanese allies to take over the island. But C.I.A. agent (what happened to G-2?) Jeff Shannon, The Eagle is on the job. This was another hard story to get through. Basically, the plot was interesting, but the author lacked the writing ability to pull it off. I actually wanted to give this a 4-Star rating, but though some of the stories were readable, there was only one that really deserved high ranking. A couple should not have been included in the book. I even have to wonder if any of the writers of this volume ever read an original Eagle story? It is worth reading, if you have a few hours to kill. The train is ready to leave. Are you prepared to tour Custer’s Philadelphia, a city overrun by vampires, revenants, and zombies? William Penn would be turning in his grave if he realized what had become of his beloved city. William Penn never suspected that his beloved Philadelphia would turn into the city of brotherly death. But that’s what’s happening in Philadelphia and other major cities. And it’s only going to get worse. 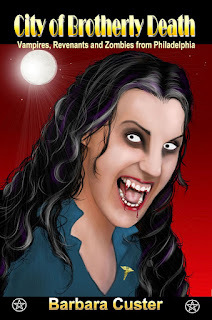 The dead are coming—revenants, vampires, and zombies—people who have scores to settle with the living. So padlock your doors and pack up your guns and survival gear. If the dead passed because their funds, administrators, or heartless caregivers prohibited lifesaving treatment, they will come back seeking revenge. Their anger makes them hungry for flesh. So very hungry. Even vampires won’t be immune to the terrors of revenants and zombies. The collection of 12 tales will keep you awake at night and make you wonder if you’ll ever be safe again. Stop by Night to Dawn Magazine & Books today and check out our magazine and assortment of horror/sci-fi/thriller novels by different authors. 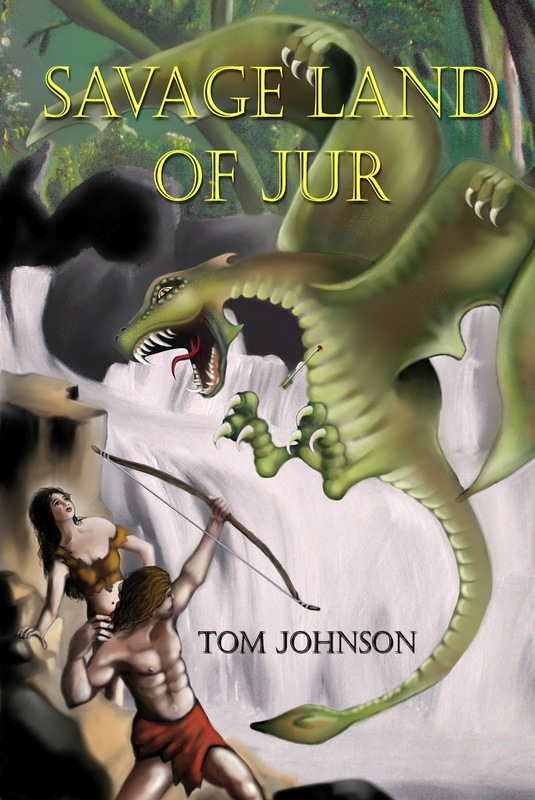 Coming soon from NTD, “Savage Land of Jur” by Tom Johnson, the sequel to “Jur: A Story of Pre Dawn Earth”, with a new cover by talented artist, Teresa Tunaley. Originally written in 1970, this has been newly edited, and tightened from the previous editions. Some time ago, the Blood Moons and Nightscapes book Tom and I collaborated on had run its contract. So I had in mind to publish my share of the stories through the Night to Dawn imprint. Steel Rose and its sequel, Blood Moon Rising, have been my major focus these last several months, and an editor is reviewing Steel Rose now. So when I started putting together my anthology, I saw it as a quick stop-off between my magazine and my works in progress. Then I started going through the stories that were published by The Masque Noir, The Vampire’s Crypt, and the Fading Shadows magazines. I want to take this time to thank Margaret L. Carter, Ginger Johnson, and Rod Marsden for giving these stories a home. I had fun playing with these tales, tweaking them, and in some cases, coming up with new spins on them. Particularly “Garden of Souls” and “One Last Favor.” All of them take place in Philadelphia, my home town. I spent several months trying out different titles without success. Then I got to thinking, since we have a lot of revenants and zombies, William Penn’s beloved Philadelphia has become a city of brotherly death. Hence my title. So what did self-publishing mean for me? It meant I didn’t have to rely on a publisher’s timetable or their choice for a cover or editor. It also meant responsibility. I had to handle my own distribution, buy the ISBN’s, and handle my own formatting, editing, cover, and marketing. If you don’t have the skills to do those things, then you hire a team to handle the jobs. I was ahead in the ballgame because I’ve been publishing books for other people. Dreamstime and Getty Images have great looking cover images for a reasonable price. Designing a cover isn’t my strongest suit, though, and those companies couldn’t help me with that. You have to pick the right size font and color for your title to stand out and look good. NTD illustrator Teresa Tunaley does just that. She took over titling the covers that she illustrated for the NTD books. Lulu and CreateSpace are user-friendly sites for self-publishing, and they have illustrators who can do covers, too. If you format the interior yourself and work with Lulu or CreateSpace, find out their requirements before you begin. I found this out the hard way with the NTD books. For a 6 by 9 inch trade paperback, for example, your front and back cover dimensions should be about 6.125 by 9.25 inches. Not more, and not less. All print and images should be ½ inch away from the border to avoid getting cut off during manufacturing of the book. Your chapter headers should be about 1/3 way down the page. More important, your headers should be at a consistent level in all chapters. It is best to stick with Garamond or Times New Roman fonts. I’ve been doing the formatting for the NTD books, including City of Brotherly Death. What helped me was looking at some of the trade paperbacks in a bookstore to get ideas on setting up title page and chapter headers. Each time I begin a new chapter, I count spaces from the top of the page. If you’re new at formatting, Word software can prove a formidable foe. If formatting makes you nervous, Lulu and CreateSpace have people who can format the book for you for a fee. I would never self-publish any work without consulting an editor because no writer can see their own mistakes. So a good editor is a wise investment. Alas, so many self-published books turn out badly because of multiple typos and lack of content editing. If money is a constraint, a lot of editors will find a way to work with you. Belonging to a writer’s group will help. Perhaps someone there can refer you to a reputable editor. I confess to major jitters, and my buddies at the Bucks County Writers’ Group assured me this is normal. 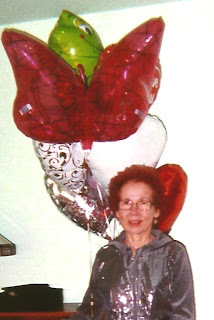 Judicious use of Mylar balloons and time spent with my friends helped me to get through that. The book has gone live, and it’s available on Smashwords and Kindle. I’m actually having fun promoting this book, thinking of Philadelphia being overrun by zombies and revenants. 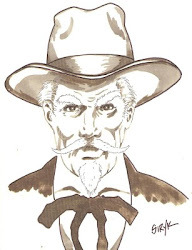 I’ve posted my webpage with illustrations of scenes from some of the stories at http://bloodredshadow.com/about/night-to-dawn-magazine-and-books/barbara-custers-night-gallery/city-of-brotherly-death/. One thing does concern me. If William Penn gets a whiff of the tales I’ve been spinning about his beloved Philadelphia, he might come and haunt me.